Amazon has today finally made it possible for its Amazon Prime Instant Video Android user to be viewed movies and shows on their devices. The introduction of the new Amazon Prime Instant Video Android support has come thanks to an update to version 5.0 of Amazon’s own application via the Google Play Store. 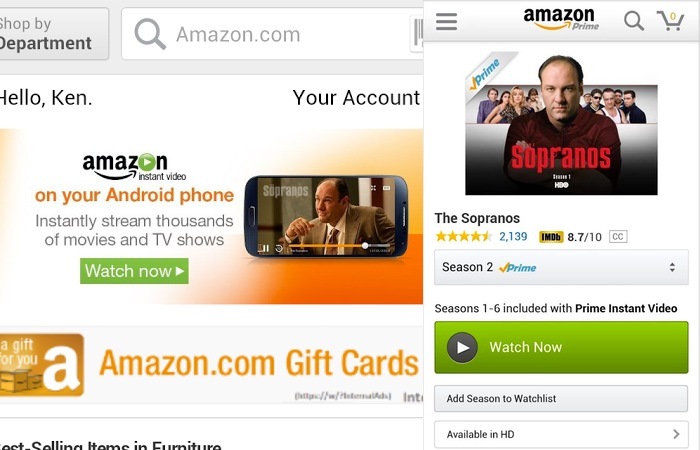 The new Amazon Prime Instant Video Android support is available via the Amazon core shopping application to users in the US. No indication has been made by Amazon when further support will be rolling out worldwide, but as soon as more information is released we will keep you updated as always. For more information on the new Prime Instant Video on Android jump over to the Amazon app Play Store website page for details.